East is produced by photographer and writer Len Grant. Len specialises in urban regeneration and has been working in east Manchester since 2003. 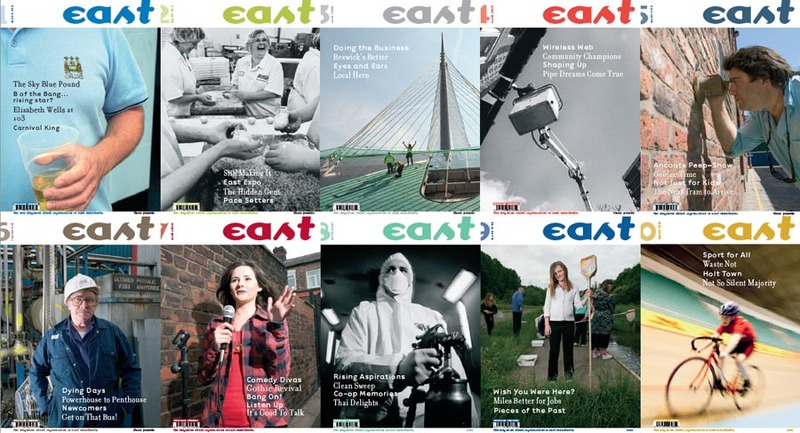 Between 2004 and 2008 he produced 10 issues of the acclaimed East magazine on behalf of New East Manchester Ltd. This website takes its name and inspiration from its sister publication. 2005: A double page spread from East 1 featuring the construction of the B of the Bang won the ‘Best Use of Image’ Award at the 2005 SUN [Shot up North] Awards. 2008: Won the magazine category in the McNaughton Design and Print Awards. 2009: Shortlisted in the media category of the Northwest Business Environment Awards. See more of Len Grant’s work at www.lengrant.co.uk.